by Hellen Pearce on 7/05/2017 in Gummiapan, Hellen, Reprint. This is my latest offering for Swedish House Crafts ………….. Sometimes it’s nice to take a small gift to dinner with friends other than a bottle of wine, so this little gift bag is ideal to fill with some chocolates or mints to have with coffee after the meal. I used a simple template I had to make the gift bag and then stamped and die cut some coffee images from Swedish House Crafts to dress it when assembled. 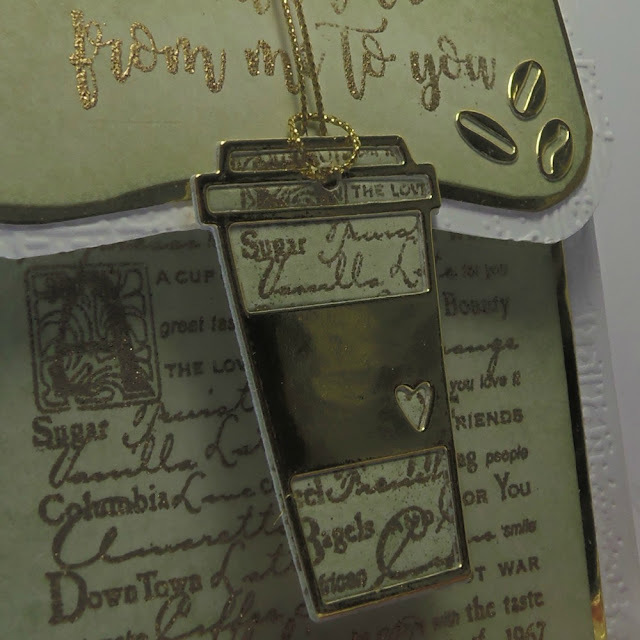 Firstly I blended Bundled Sage Distress Ink on to the toppers to go on the gift bag and stamped with Versamark and then heat embossed with gold embossing powder. 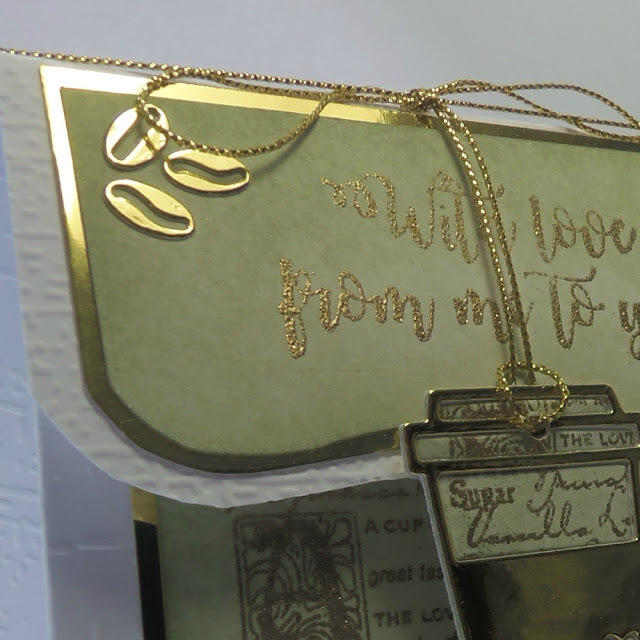 All the stamped images were matted onto gold cardstock and stuck on the bag. Then I die cut the cup and beans using gold card and some scraps of card again coloured with the same ink. A piece of gold cord to attach the coffee cup to the bag and we’re done. Why not pop over to the shop using the above links and have fun !